During the economic boom of the 1920s, Cadillac engineers sought to build a ""halo car"" - an automobile with no hope of selling enough units to recoup production and development costs, but one that would draw interest and admiration from buyers interested in lower-end vehicles, and increase the company's prestige. Cadillac accomplished just that with the 1930 V-16, a remarkable machine often recognized as one of the finest cars ever built. 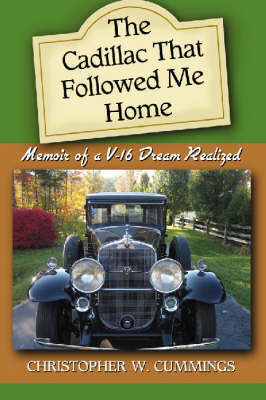 This memoir, rich with photographs, recounts the author's unique relationship with the 1930 V-16, and is a story of restoration, passion, and a true luxury automobile.